Why Do Vaccine-Pushers Chicken-out of Debates about Vaccines? One was to have been a debate on April 8, 2015 between vaccine rights attorney Alan Phillips, JD, and Dr. Annie Sparrow, a pediatrician who obviously pushes vaccines literally and figuratively, with the venue being WMNF Radio’s The Fairness Doctrine. Dr. Sparrow flew away and cancelled at the last minute. How disappointing! 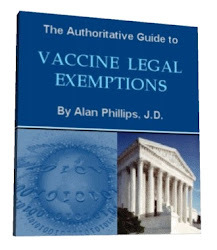 Consequently, Attorney Phillips issued a three-page paper after the debate actually took place with Radio Host Jennifer Sullivan taking the pro-vaccine argument that Dr. Sparrow obviously was to have ‘nailed down’ but reneged on. One has to question if Dr. Sparrow got cold feet, or if the facts were too hot to handle. The other debate was to have taken place between two medical doctors: Paul Offit, MD, vaccine inventor, and Toni Bark, MD, an integrative medical practitioner with credentials an arm’s length long, on Wednesday, April 13th, on Chicago 560. The topic to be discussed was “Parental choice and vaccination,” a hot, hot topic now that there have been more and more vaccines added to the CDC’s schedule for children in order to enroll in daycare centers and schools. Again, there was a last-minute “chicken out” by Dr. Offit. Dr. Offit, who pontificates that children can take 10,000 vaccines without any adverse harm or reactions, probably rethought how he would debate Dr. Bark, whose—pardon the pun—“bark” may have been louder than something Offit could deal with since Dr. B’s been very vocal and public about the lack of oversight regarding vaccines and the dangers from the ever-expanding vaccine schedule, which soon will mandate ALL adults receive children’s shots too! Offit is infamous for one possible slip of the tongue, which he may have wanted to avoid having recycled while debating Dr. Bark. The ultimate challenge should be to make Dr. Offit prove his now-famous remark. There would be no better way for him to supply that proof than to take 10,000 vaccines; become a pro-vaccine hero; and spare some poor child having to become a human guinea pig. After all, Offit’s a big man; he can do it! Furthermore and more responsibly, someone in Offit’s field of vaccinology ought to hold his feet to the fire on his “non-science-based hypothesis” or demand that Offit officially retract it. Recall that Dr. Andrew Wakefield had his and his colleagues’ paper about autism and gut problems retracted since it was claimed to be false information. Dr. Offit, prove your 10,000 vaccines won’t harm children or rightfully become the pariah of the Big Pharma vaccine world for submitting false vaccine information. Your 10,000 vaccines have never been put to a scientific test! Maybe—just maybe—Dr. Offit would pull something like a public relations person, Patrick Moore, did when asked to drink a glass of Monsanto’s Roundup®. See the video of how a grown man [Moore] back pedals faster than you can say glyphosate. The quickie video is embedded within this link. But there is someone who was able to get a virtual debate going between Paul Offit, MD, and Boyd Haley, PhD, Professor Emeritus of Biochemistry at the University of Kentucky. Richard Milner, the video producer, visited and interviewed both gentlemen independently, and then edited their respective comments and remarks into a debate format no one will want to miss. Offit knows this and his ‘ploy’ to avoid debate based on “Scientific proof of vaccine safety” misrepresents science and is merely an FDA ‘Talking Point’ developed to avoid the truth. My response to Offit – “You (FDA) fear Science”. FDA fears such access might `out` vaccine links to contaminants causing MS, breast cancers, leukemia, mesotheliomas, and AIDS …not to mention genital herpes, which we share with the African green monkey and oral polio vaccines. For 25 years I have known a mother trying to obtain PCR testing of her child for simian viruses causing an unknown debilitating medical condition in her son. The Labs and physicians uniformly refuse tests with the statement – “It does not matter where it came from in order for us to treat it” – another FDA “Talking Point” developed to eliminate facts. Autism is a small, but important, portion of the Vaccines Disaster Spectrum. I call it VDS. Before any more vaccines are mandated, healthcare consumers should demand public debates and forums on each vaccine’s science, studies and trials before a vaccine even can be added to the CDC’s schedule. No more vaccine mandates without public input. Let’s see who’ll explain vaccine science, since currently we just have to accept Big Pharma-produced obviously skewed ‘studies’ which eventually become ‘pharmaceutical dogma’ that everyone in medicine, public health agencies and the media parrot. But, here’s another – and possibly real – debate that needs to take place about vaccines: Legal eugenics? 26 Comments on "Why Do Vaccine-Pushers Chicken-out of Debates about Vaccines?" Would love to ask Offit how it was in 2013 a website he directly oversaw posted the claim that “aluminum… is believed to play an important role in the development of a healthy fetus”. Offit disapproves of supplements but aluminum is good for fetal development! There are very dark forces at work here; and they all track right back to the Talmud. The VAERS statistics for 2014 were the highest ever with 38,519 seriously injured and 3,737 killed. All 18 years and younger. These numbers are going up every year. We don’t need an expert for that. We don’t even need a debate. To make this mandatory is criminal. What I’m finding is that there is no real debate in the true sense. On every poll I’ve seen more than 70% are for medical choice. MSM will have you believe that its the opposite. I’m finding out that most of my online debates over this topic are with shills. The only war is between big pharma, their minions, and us. I agree, but one big problem is their minions include our bought and paid for politicians. I personally don’t recognize the governments authority to mandate any kind of medical treatment. Especially when it’s the same as playing Russian roulette with our children’s lives. People need to wake up, quit letting the government give itself authority it doesn’t have. Government officials are just people, if they think it’s ok to kill and maim 38,000 kids a year, I think they belong in prison. This whole thing is a criminal fraud. People should be like a mother bear when someone is attacking it’s cubs. There are other bills following this one to mandate vaccines for adults. When did we ever give our government servants the authority mandate anything to the entire population in our Constitutional Representative Republic, by the consent of the people. Thank you – good points. Personally i think that the USA does NOT provide the fed govt with ANY powers over our health choices whatsoever – in fact those are forbidden. My state Constitution (Cal) does NOT give the state the power to make my health choices or for my wards. This means – to me – that in the USA, these laws are illegal and not binding, that the enforcement of these laws is against the highest law of the nation and state, and those attempting to enforce compliance are thus provably anti-american, and NOT in my authority chain on this issue AT ALL. Yes, they lie and call vaccines “unavoidably safe”! That ignores reality. Reality was that vaccine manufacturers were getting HAMMERED in the 80s as they lost a lot of lawsuits for vaccine damaged people. they had to pay a LOT of money – so they whined to Reagan. Then a law was magically passed in which (86) vaccine manufacturers could not be sued for vaccine damages. The government would pay out for vaccine damages – and they have done so for over THREE BILLION DOLLARS in a very, very difficult set up for vaccine damages to win the trial. This proves that no matter what they say, VACCINES CAUSE DAMAGES TO SOME – and every insert states that some damages are possible. To deny that this happens is blatant stupidity. I’ve uncovered about four online shills so far and currently working on a 5th. I find that they typically work in tag teams. The pattern is the same always the same and its becoming amusing. They are becoming desperate. So this somehow disputes the unscientific nature of Vaccine pushers does it? As I see it this is just another emotional crap fest with nothing of substance, just mockery and jingoism. Vaccines are not modern or scientific you nincompoop. The process was actually common during the plagues of Europe hundreds of years ago. Indeed the primitive concept of vaccinations helped spread the disease. The “best” of the tag teams work in and through Wikipedia as “editors”. Check that out, as you will find a nest of skeptics there who are hell bent on destroying holistic medicine and shilling everything big pharma says. Find them, Buy Them, Download them and share with every young mother via cheap SD cards or thumb drives. If every person that watches them shares with at least two (2) other people we would nail this murdering practice to the ground in less than a year! Save the children! Many more videos and info online at the NWO Survival Guide. Good Luck and thank God for the Activist Post! I will NOT have any of your/my children stuck with needles of poison and neuro toxins approved by Jewrys CDC. Merck killed 60,000 people with Vioxx, more than the Vietcong and says we can trust our childrens lives to them, still!!. Medical Malpractice is the 3rd leading killer in the USA. Thermerosol (Mercury laden neurotoxin), Aluminum, Aborted fetal tissue, Dog kidneys, Monkey kidneys doesnt cure anything. J EWs LIE!!!! Spain is suing Baxter health for the killing of their daughters with HPV. The Father of so called ADHD is a Russian J EW, named Leon Eisenberg-who confessed later it was all fictitious and yet 1 million children are made zombies because of it..! Research the Dr. Semmelweis effect. He was a doctor that found a correlation between doctors spreading disease by making rounds and not washing their hands. He was laughed at and mocked by his contemporaries. His friend admitted him to a mental hospital where he was killed 1 week later. Turns out he was dead right. We need to NOT just swallow the statistics we are told regarding vaccines, political points, and other points of belief/disbelief in OUR society. They can all too easily be lied about. You know, like the “huge turnout at the Illinois state capital steps” for gun control. Pictures showed like a dozen standing in open clumps. The support for second amendment rights on that same capital step area from a few weeks prior showed HUNDREDS of supporters. The media made a big stink about how people allegedly support gun control, and oppose private gun ownership, but the picture was worth a thousand words. The right to control OUR OWN body is an inalienable right. It comes from our own individual self and cannot be legislated from outside control. They will try to use a big stick, they will make illegitimate laws (no purview on these isssues for my state – Calif – or the feds) but do NOT comply. Attorney Robert F. Kennedy, Jr. speaking in California about vaccine politics. They can’t answer why there’s so many toxic ingredients in vaccines! ‘Cause they know chickenshit about shingles! The pro-vaccine speakers were going to participate in these debates until they found out the rule that there is to be no derogatory name-calling. They have no argument with that rule. 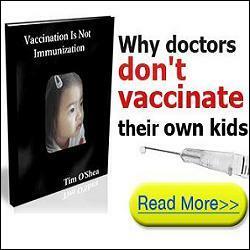 No true vaccine testing …EVER! No criticism of vaccines allowed by the FDA. They really do fear science! Offit is a lying piece of garbage. Typical name calling. Actually, out of both Pro vax and anti vax sites I find that the anti vax group has much more information and are critical thinkers. Where as most of the pro vax parrots what they’ve been told, having done no research and no critical thinking. This all comes down to parents wanting what is best for children. Both sides should be aligned with that point. As far as I can see, the only reason for mandatory vaccination is the measly 170 disneyland measles outbreak. No epidemics or pandemics. Other disease statistics I hear are international statistics including India and Africa. Statistics that have no bearing on the U.S. Our vaccine program is outdated and not proportionate to U.S. statistics.